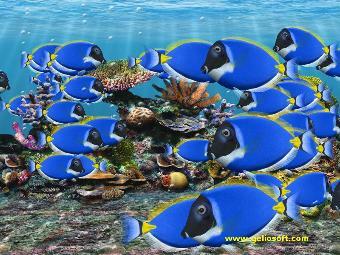 With 3D Fish Tank Screensaver, you can turn a monitor of your computer into animated Blue Tang HD aquarium fish tank. The Blue Tang Fish (Paracanthurus Hepatus, Blue Tang, Blue Surgeonfish, Palette Surgeonfish, Regal Tang, Hippo Tang, Flag-Tail Surgeonfish) is a standard fish for marine aquariums. Enjoy and benefit from the Blue Tang 3D Fish School Screensaver without the expense of the real saltwater fish tank. It never gets boring, there is always something new to see. Download and install the full version of 3D Fish Screensaver. 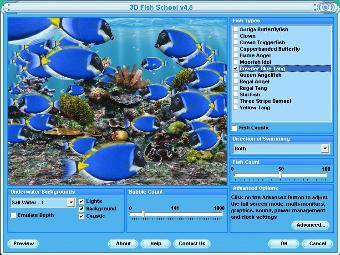 In the settings of 3D marine screensaver, click on the Blue Tang Fish name check-box. With soothing underwater backgrounds and gently moving Blue Tang 3D Fishes, you set now the perfect backdrop for a relaxing. 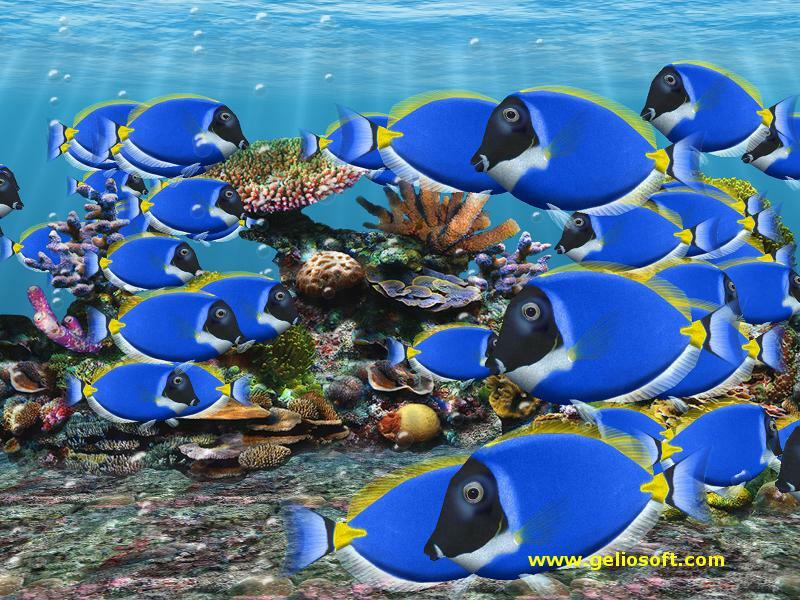 If you want to decorate your Windows desktop with marine Blue Tang Fish 3D wallpaper, just right-click on the image above and select "Set As Wallpaper" from the drop-down menu.